Driving is a great way to begin your exploration of desert country but you must be prepared for any possible situation, especially when driving the less predictable back roads. For driving in the desert, we need a light weight and good condition vehicle. We can make a safe driving in a group with proper preparation of our vehicle maintenance and safety tool kit. 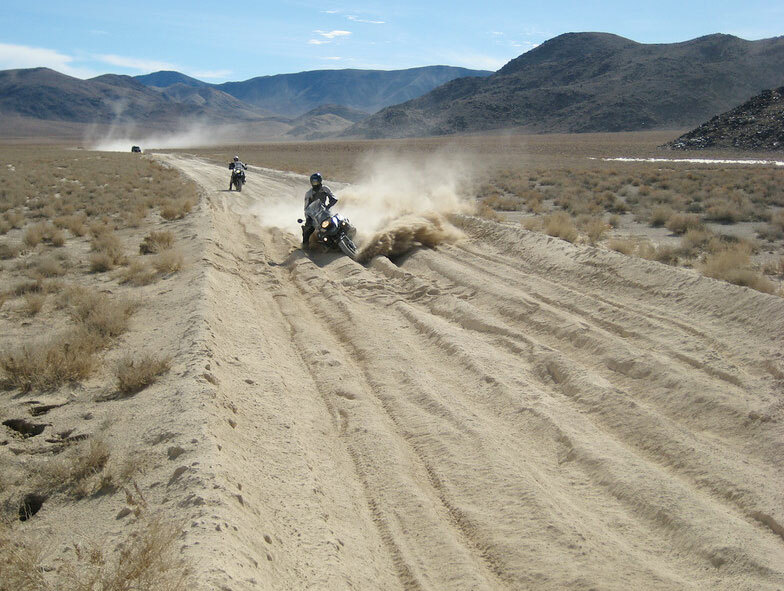 Racing is acting for a drive on the desert for off-road vehicle. The racing of desert is done in different ways like desert hill, smooth off-road, full desert road. It is also provided by many countries as a championship of desert racing. The racing done in different track of the desert, but it is not a safe task for you, if you are a beginner so never take a risk. Give your vehicle a maintenance check up before you start drive into the desert. Install high quality tires that won’t break on the first attack. We should put a tool kit which contains all important tools like Oil, jumper, fen belt, Pilers, screw driver and proper fuel capacity. Take a broad and wide quality tire kit for safe drive in the desert and adjust the tyre pressures according to the condition. Always carry plenty of water with the bike for the passenger. Also, an overheated engine in the desert can cause serious trouble in the bike. Always Use proper lighting in the bike at the night time drive for the clear vision. Carry a fire extension tool kit. Always keep proper food and drinks at the racing time. Take the proper guidance of desert driving trainer before driving. Don’t drive so fast in the desert. Always wear Helmet for a safest drive. Keep in mind that the desert reaches cold temperatures at night, So keep a blanket or extra jacket in the bike just in case of an emergency. In desert driving always learn how to change the wheels and tires and few brief knowledge about the vehicle which you can drive. For driving time always carry medical safety kit for emergency. . Safe drive in the desert we can keep mobile phone for any emergency which happen to us. Keep a road map of the desert at the driving time for our help.